(Danny Johnston | The Associated Press) In this Oct. 28, 2009, file photo, a Tyson Foods, Inc., truck is parked at a food warehouse in Little Rock, Ark. Tyson Foods is recalling more than 36,000 pounds of chicken nuggets because they may be contaminated with rubber. The U.S. Agriculture Department says there were consumer complaints about extraneous material in 5-pound packages of Tyson White Meat Panko Chicken Nuggets. There are no confirmed reports of adverse reactions. 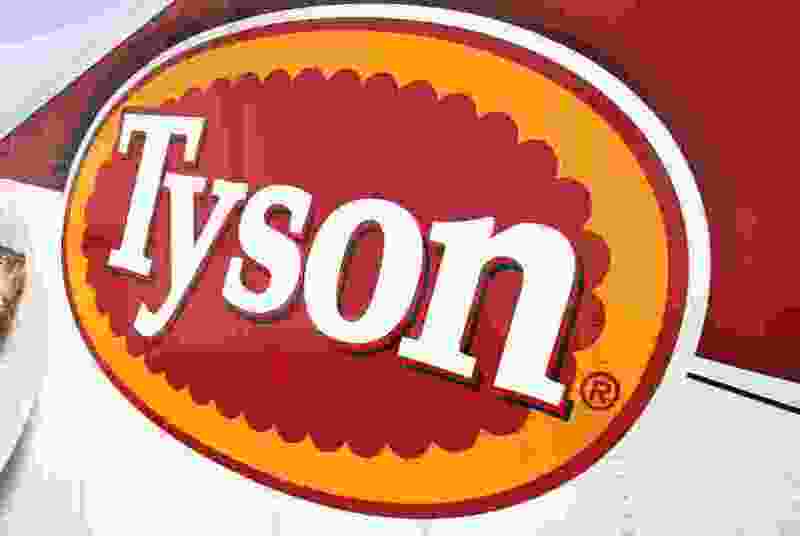 Washington • Tyson Foods is recalling some chicken nuggets after customers said they found pieces of “soft, blue rubber” inside.